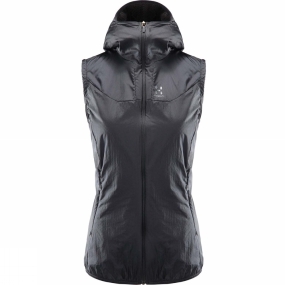 The Womens Aran (Valley) Vest from Haglof is made to manage the challenges of mountaineering. Provides core protection as well as moisture management, through its special waffle-structured high loft lining. Fluorocarbon-free DWR adds peace of mind. A snug, cosy, fitted hood boosts the comfort and warmth factors.